It’s a whole new idea from Ford: a crossover designed with the city in mind. From performance to design to safety, every single aspect of the all-new Edge has been carefully considered and engineered to take on everything modern life can throw at. Inside and out, the all-new Edge has been designed to pamper. No matter if you are in the front or back, you will appreciate all the major and minor touches that have been incorporated to make every journey in your all-new Edge a pleasant one. Be it the lack of wind noise or the smoothness of the ride, you can’t help but notice the attention to detail that has been taken with your comfort in mind. Inside and out the all-new Edge projects substance and style. From the outside you’ll notice the bold and distinctive lines. Climb behind the wheel and you’ll constantly notice the little touches designed to pamper you and make every drive a delight. Part of keeping you excited is keeping you safe. The all-new Edge is equipped with state-of-the-art safety features, including AdvanceTrac® with Roll Stability Control™ and Curve Control. There are also dual-stage front airbags, side-impact airbags, glove-box and driver’s knee airbags. 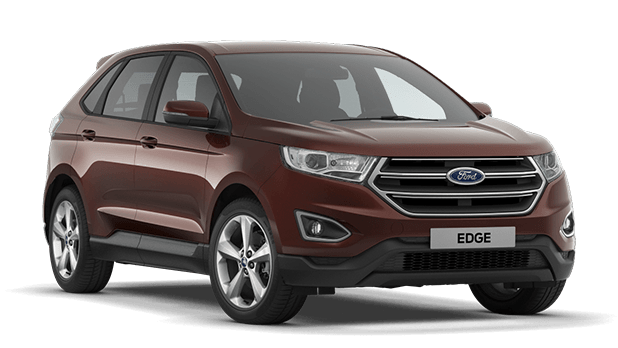 The all-new Edge is also equipped with a second-row safety canopy and rollover sensor keeping you and your passengers safe in the event of a rollover. Its technology engineered to give you more conﬁdence behind the wheel and an overall more engaging drive. There are so many innovations, one drive in your all-new Edge and you’ll wonder how you ever got along without them.